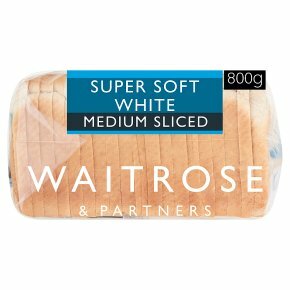 A soft white sliced loaf made with premium flour. INGREDIENTS: wheat flour fortified (wheat flour, calcium carbonate, iron, niacin, thiamin), water, yeast, salt, spirit vinegar, rapeseed oil, soya flour, preservative (calcium propionate), emulsifier (mono- and diacetyl tartaric acid esters of mono- and diglycerides of fatty acids), palm oil, flour treatment agent (ascorbic acid). Allergy Advice For allergens, including cereals containing gluten, see ingredients in bold May also contain sesame. May contain: sesame.